NOTE: SOME ONE, TWO, AND FOUR BARREL CARBURETORS REQUIRE CERTAIN SPECIALTY PARTS AND LABOR OPERATIONS TO PERFORM A PROPER RESTORATION. THESE CARBURETORS HAVE HIGHER REBUILDING PRICES THAN LISTED ABOVE. BE SURE TO CLICK ON THE FOLLOWING LINK TO GET A FIRM QUOTE FOR HAVING YOUR CARBURETOR RESTORED. 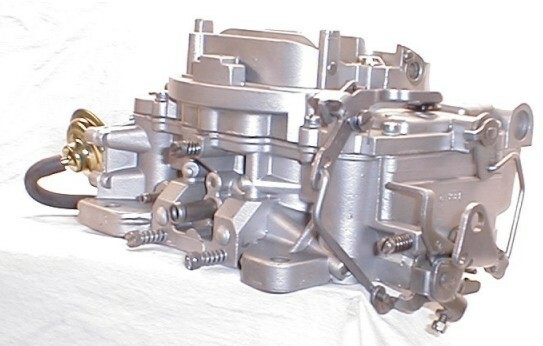 ALL MARINE, INDUSTRIAL, GOVERNED, OR AGRICULTURAL CARBS, CALL HAL @ (518) 374-5078 FOR CURRENT PRICING, OR E-MAIL TO houghton@classicpreservation.com. Inquire about classic boat carburetor rebuilding prices. You may also call us at (518) 374-5078 If you get an answering machine, it means we are either on another line, or running equipment in our shop. Leave a message and we'll return your call. SHIPPING COSTS posted above apply to any location in the continental USA. PRICES APPLY to major brand name, non-electronic classic carburetors for car and truck applications from 1932 through 1975 only. Governor rebuilds are not included in these prices. NEW YORK STATE RESIDENTS add 8.00% sales tax to rebuilding charges. NOTE: ALL PRICING ASSUMES THAT CARBURETOR IS COMPLETE AND IN RESTORABLE CONDITION. ALL DAMAGED OR MISSING PARTS OR EXTRA LABOR FOR RESTORATION IS AT ADDITIONAL COST. VACUUM UNITS SUCH AS CHOKE PULLOFFS, ETC. ARE EXTRA. THESE UNITS ARE CHECKED DURING THE RESTORATION PROCESS AND REPLACED, IF NECESSARY, AT ADDITIONAL COST. I DO NOT RESTORE ELECTRONICALLY CONTROLLED CARBURETORS OR NON-USA MADE CARBURETORS.